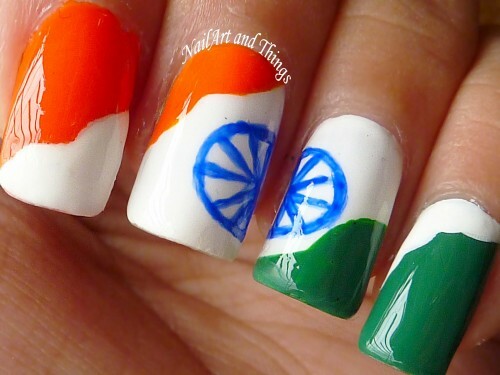 Check out inspirational nail art ideas to flaunt on 68th Republic Day! Ladies! It’s time to get patriotic. This Republic Day, celebrate the occasion by dressing up as per the theme. Sport an ethnic look by opting for khadi. It could be a salwaar kameez with Nehru jacket or a handloom saree. Stick to colors such as saffron (orange), white and green. You can choose for an Indian flag inspired makeup as well as accessories. Besides, give your fingernails a special touch of India inspired freedom! 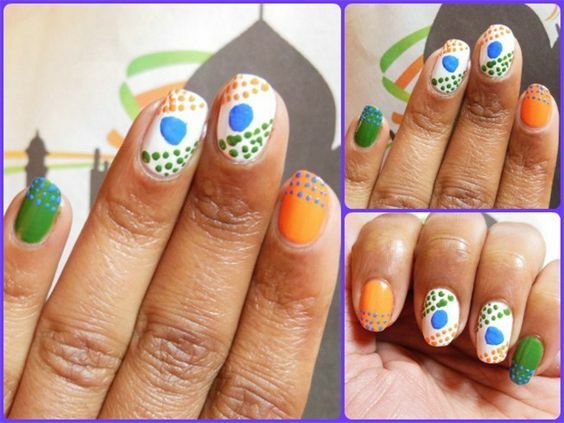 Here are 3 absolutely ravishing nail art ideas to follow this Republic Day. Wear it with style and amp up your beauty quotient this day. Pretty patriotic and true to the theme, paint your nails in exactly the same flag shot to celebrate the occasion. It is easy-to-do at home and especially fun for beginners to try out. Don’t forget to dot a little bit of clear polish in the middle of your nail and put a blue rhinestone for the ‘chakra’ effect! Team it up with a white outfit (it could be a gown, short dress, Indian suit) and an orange or green colored shoes plus accessories. If wearing the exact tri-colored flag shot on your fingernails is a boring affair for you then, we don’t want you to stick to the age-old technique for the sake of it. Jazz it up a bit by adding blue shimmer or stick-ons. Be creative with the tri-colour. This year is big for playing with big geometrical designs and prints. You can play with lines and shapes to bring on the quirky element. Sport the look with a monotone colored outfit! Wear a big circular bindi or tri-colored bangles for an extremely dramatic effect. 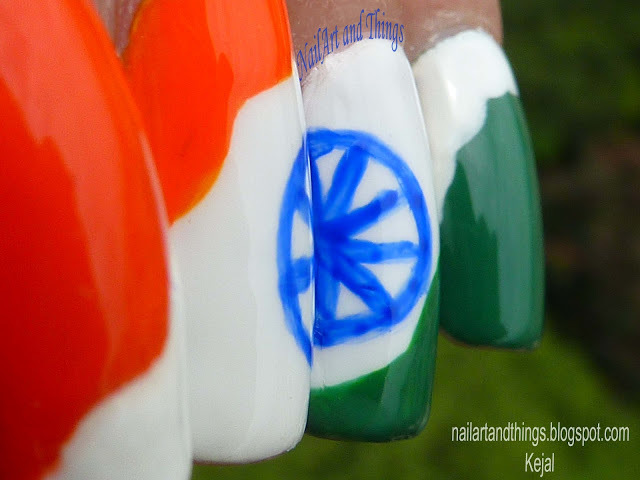 Just remember that by being abstract – you won’t simply be trying the normal Indian flag colors on your nails. And that’s exactly the idea we have shortlisted some stylish nail art designs for you! This winter, play with the colors that represent our Indian flag. You can continue to sport such a nail art design for the remaining quarter of the year. You can go for colored French tips, say white on orange, and alternate it with say green on white. We also recommend Aztec print in these three colors or achieving the effect with the application of marbling technique. You can also apply white color on one nail, orange on the subsequent one and green to follow. Play this 1-2-3 technique for the remaining fingernails to achieve an ultra-patriotic inspired nail art design. One more effect which can look super cool is the stamping technique. 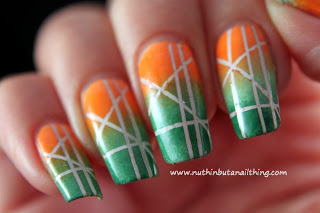 It may not be just the perfect one for all you beginners out there but using two colors (orange and green) for stamping can pretty much help you achieve the desired result. Here is wishing you all a very happy Republic Day in advance!